We are pleased to announce we have sailed into our next port of call: The Sailors Cove! Do you like salt spray in your face while the sound of wind luffing though your sails? Then you are in luck! 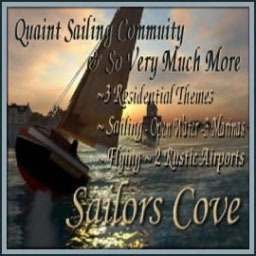 The Sailors Cove is the place for you! Great events and places to explore! Just click the sign on our gangway to disembark. But be sure to return before we sail on to our next port of call!